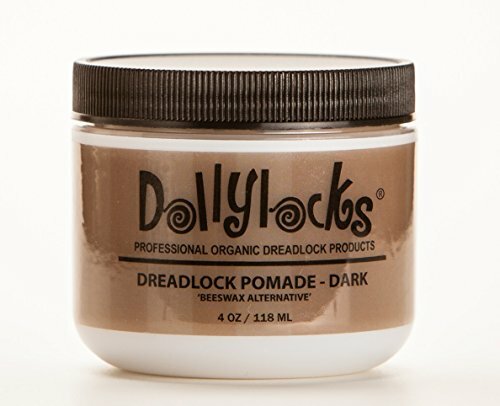 A non-greasy, pliable pomade produced with the finest natural components to nourish dreadlocks, tame fly-aways and give your dreadlocks design and hold. 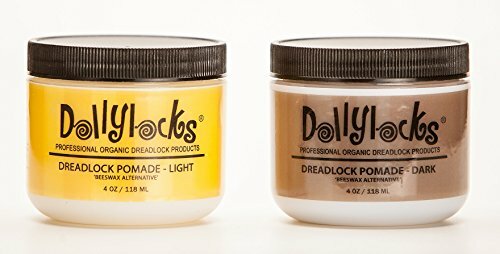 Our pomade, in contrast to beeswax, will very easily wash out leaving your dreadlocks free of charge from buildup. Cold Label Wolfin Pomade 4oz Hamadi Organics Shea Pomade-4oz Sunny Isle Rosemary Jamaican Black Castor Oil Hair Pomade 4oz Sunny Isle Ylang Ylang Jamaican Black Castor Oil Pomade 4oz Dollylocks 4oz Nag Champa Dreadlock Conditioning Oil Dollylocks 4oz Coconut Lime Dreadlock Conditioning Oil Dollylocks 4oz Patchouli Fields Dreadlock Conditioning Oil Organic Pomade – Peaceful Pomade (with beeswax and coconut oil) 1 oz – 100% Organic, Preservative Free, and Non Toxic! A Carefree Organics Product.